We have been kind of slacking off with our cooking since it has been so hot out. So I had a bunch of vegetables in my crisper that did not get used for the original meals I had planned. I did not want them to go bad so I made an all vegetables meal that I served in two courses. First course, roasted cauliflower. 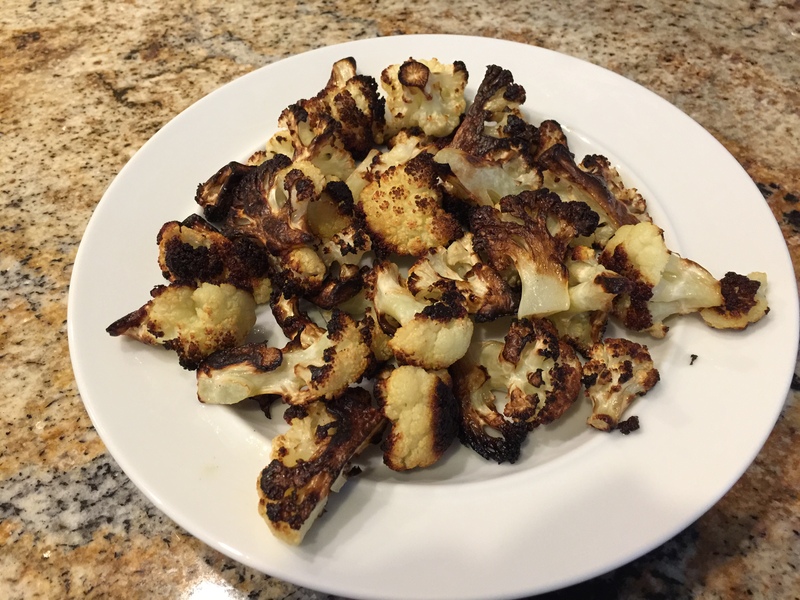 I make this by cutting the florets off a head of cauliflower, putting the florets in a gallon plastic bag with two tablespoons of olive oil and some salt, mixing it all together and then putting the florets on a foil lined tray and cooking them at 550F convect for about 20 minutes. So delicious! Second course, broccoli and cauliflower salad and pan con tomate. For this I made a vinaigrette with some celery seed and a bit of Splenda for a sweet and sour flavor and mixed it with some parcooked broccoli and cauliflower. The pan con tomate is a Spanish tapa. Toast or grill some artisanal type bread, rub the toasted bread with garlic and a drizzle of olive oil. Then take the cut side of a tomato and rub into the surface. Salt to taste. A healthy and heavenly dinner! 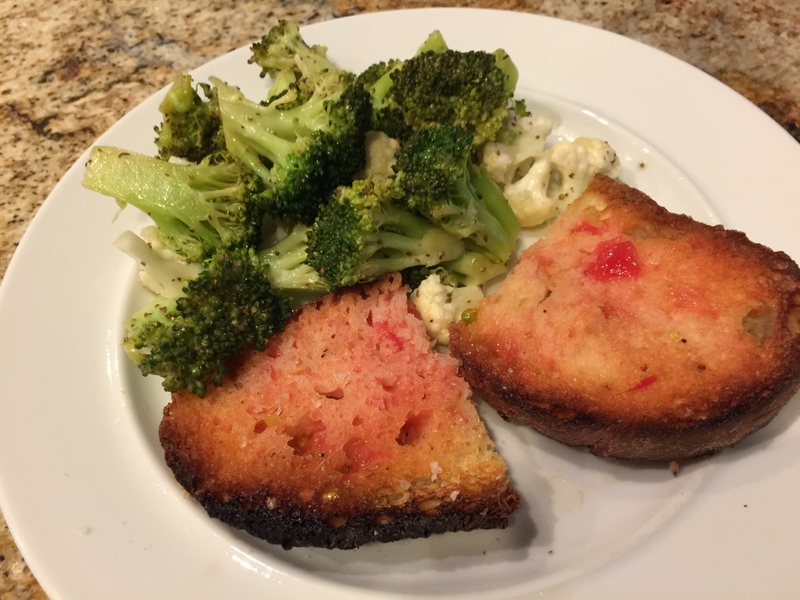 This entry was posted in Vegan, Vegetables, Vegetarian and tagged broccoli, cauliflower, garlic, Olive oil, pan con tomate, tomatoes, Vegan, Vegetables, vegetarian. Bookmark the permalink.